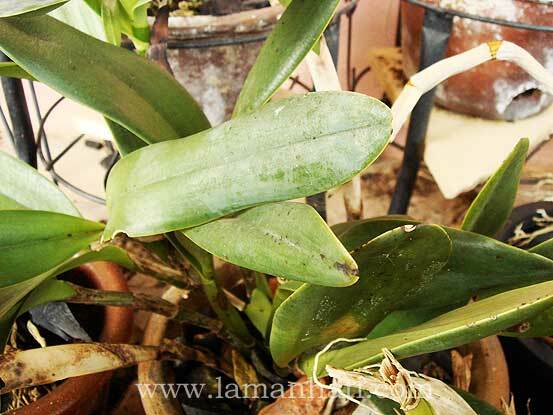 I’m sure many of us are very familiar with these Aloe Vera plants. 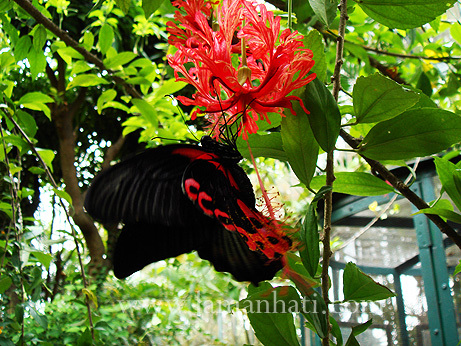 While researching for this entry, I found out that it actually belongs to lily family. The species also has many synonyms : A. barbadensis Mill., Aloe indica Royle, Aloe perfoliata L. var. vera and A. vulgaris Lam. It has been suggested that the species is originally from Southern Africa and was introduced to China, India, Pakistan and various parts of southern Europe in the 17th century. Known for its medicinal purpose, Aloe Vera is a stemless or very short-stemmed succulent plant which can grow up to 60–100 cm. It spreads by offsets. The side of the leaf is serrated and has small white teeth. From my experience, it is quite a hardy plant that prefers to be completely dry before re-watering. 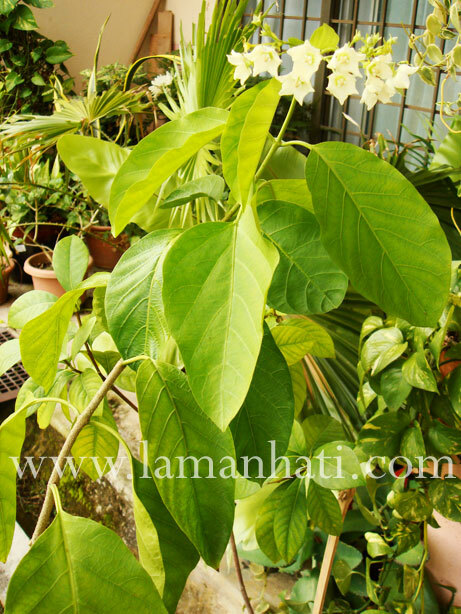 It is also resistant to many insects although mealy bugs, scale insects and aphid species may cause decline in its health. 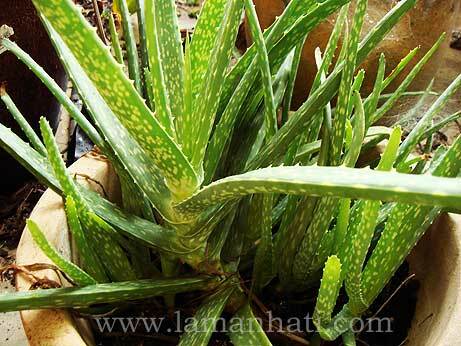 Aloe Vera has been utilized by many for its healing benefit, mostly to cure injury and wound. The gel derived from the plant are used as a first aid for burns, injuries, eczema, sunburns, insect bites and fungal infection prevention. 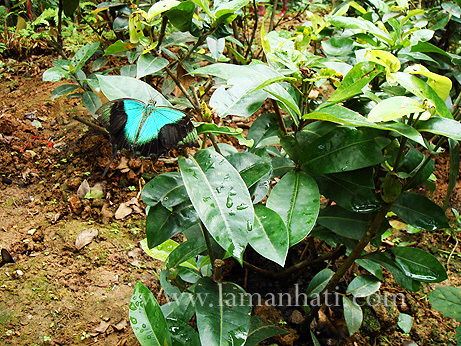 This picture of kesidang plant has been taken somewhere last year. Over the last few months, with my morning sickness and all, it seems to be dying slowly. However since it is quite a sturdy and hardy plant, it grows back and today I notice some flower buds are coming out. What I love the most about kesidang (bunga kerak nasi known in Northern Peninsular Malaysia or bunga tikam (tikar?) 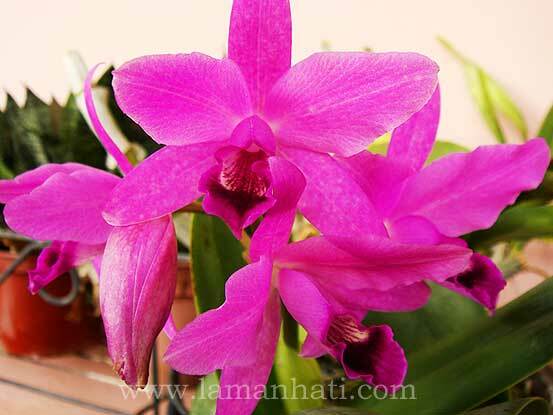 seladang in the East Coast) is its fragrance. If you know how pandan leaves smell like, then you know why people use this bread flower (known among the Westerners) in bunga rampai – the finely sliced potpourri of fragrant plants used for Malay weddings during the merenjis ceremony. I read the same thing from magazine Laman Impiana which they call the technique as tut lentur. I’ve tried putting a brick on one branch and still checking whether the root comes out so that I can cut and plant it in another pot. 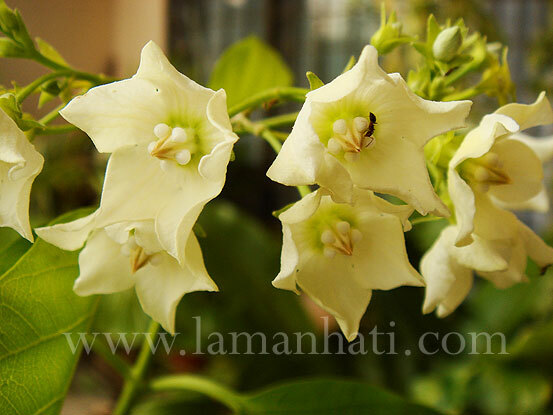 If you have a pergola or trellis at home, this kesidang plant will be a good choice for climber plants as the flowers bloom it will surely fill up the air around you with its pandan fragrance. I took this picture of my henna plant in January and totally forgot about it. Browsing through my whole year of picture collections make me realize that I never mention about Henna in my gardening blog. As a person who love arts and craft, I also love the art of henna tattooing. This henna plant is cultivated from the cutting that my aunt used during my wedding ceremony. 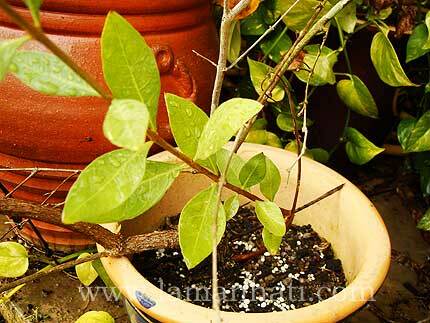 As henna leaves have many other useful benefit (some people use it during confinement) I decided to keep it alive. 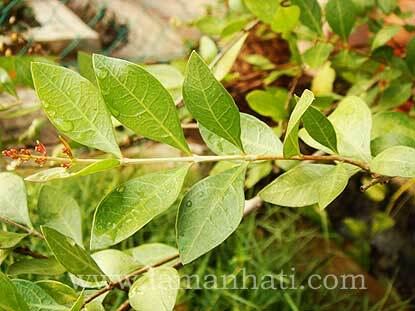 Leaves – used as a skin and hair dye and in traditional medicine. They are almond-shaped, tapering at the end attached to the tree. 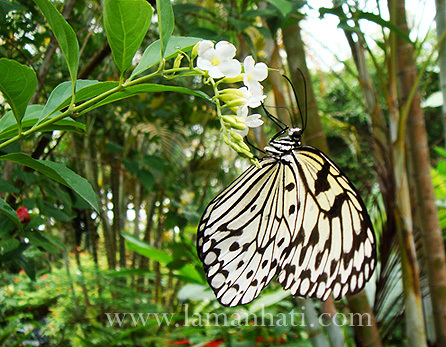 Fruits – seeds are used in traditional medicine and oil for perfumery. They are spherical in shape, about the size of a small pea (5-7 mm wide), brown when ripe and contain many little pyramid-shaped seeds. 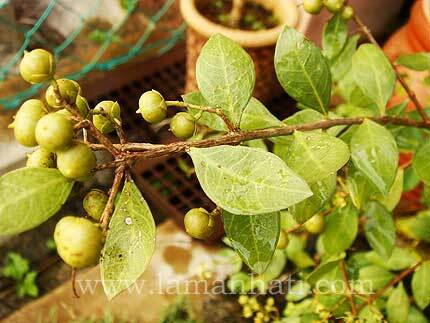 Henna is a shrub that can grow up to 7 m high at its tallest, with greyish-brown bark. Its wood is close-grained and hard and is used to make tool handles and tent pegs. I am not sure how tall my henna plant will be in years to come, since I plant it in a pot. 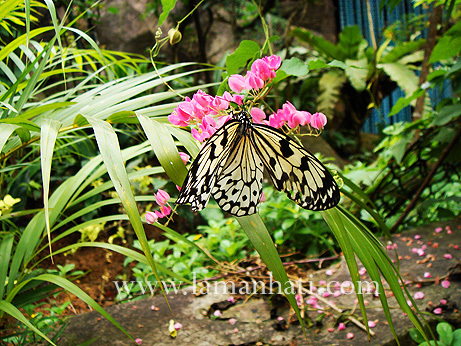 It is surely a hardy plant that is easy to maintain. It’s growing well so far and I still don’t have the chance to pound the leaves and use the paste to dip my fingertips. I have kept this rose for as long as I can remember and it just proves to be very hardy despite a few times attacked by mildew, black spot, insects and whatnot. 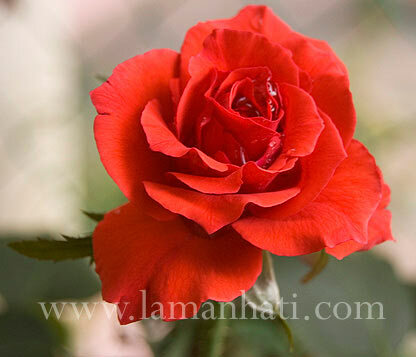 I’m not sure what type of rose plant it is – whether it is Hybrid Tea, Polyantha, Floribunda, Hybrid Perpetual, Climbing, Shrub Roses or Tea Roses. Checking the Internet for the correct family was too troublesome (all the pictures of the red roses with almost the same shape makes my head go haywire to match with mine) and I was thinking to buy the Encyclopedia of Roses just to make sure I know what I have in my garden so far. The Kinokuniya in KLCC have it for RM160 plus..huhu! Perhaps next time on my book spree I will invest on that hardcover book. 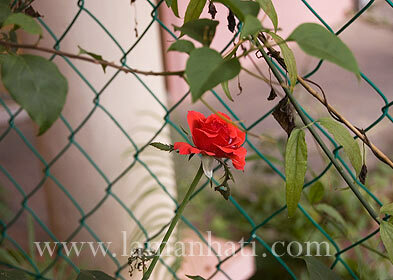 I think it is not the ros kampung either, well you know the type that has very strong rose fragrant. I miss those roses. I think I will buy a few plants if I could find at any nursery. Those ros kampung has small petals, do not look like the one you will get your girlfriend for Valentine but very fragrant. 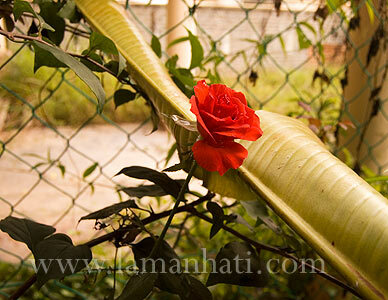 I love my rose when it is not fully bloomed. This one already wilted and the petals are dropping everywhere but I saw 2 more buds coming out soon.